Can you believe another Christmas has come and gone? I just couldn't let this holiday season end without one more Christmas card. 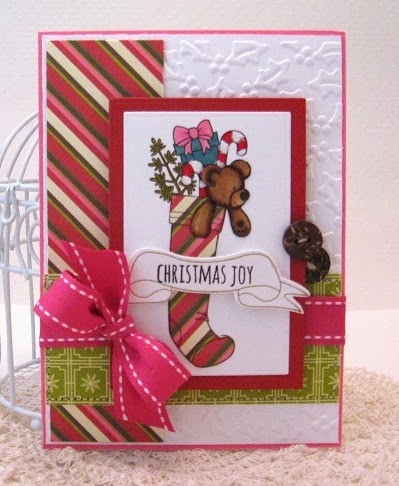 I am up on the blog today for Whimsie Doodles showcasing this beautiful christmas image - Stocking Full which can be found here. What a fun image and darling card.